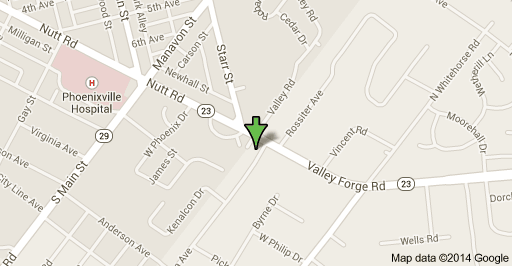 We are located at 444 Valley Forge Road, Phoenixville PA 19460, at the corner of Valley Forge Road and Kleyona Avenue. We are in the Konell Insurance Building. Parking is off Kleyona Avenue behind the building.